Our origins go back to 1925 at North Rode, near Congleton when Samuel Cooper started his business collecting milk and delivering coal. We’ve moved on somewhat since those early days, but we are sure that Samuel Cooper would have been proud at what we’ve achieved to date! In 2010 purchase of new warehouse adding a further 90,000 square feet of storage. Despite this growth, we still pride ourselves on being a family business, Richard Howarth our MD being a fourth generation ‘Cooper’!. 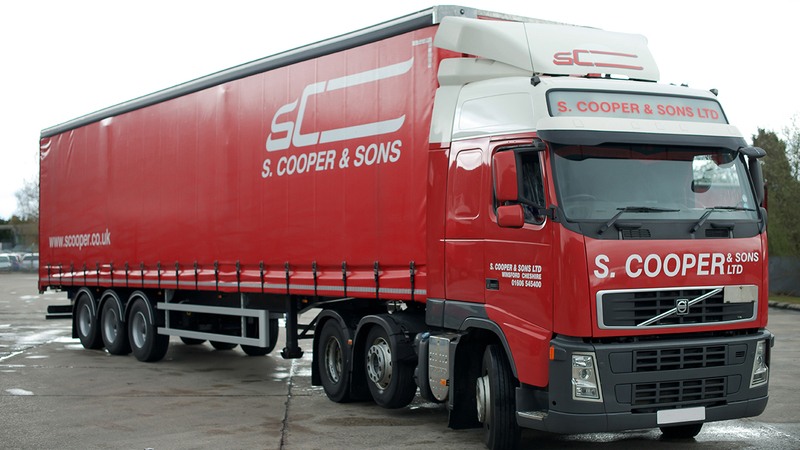 Despite the image some of the haulage industry has, which in most cases is quite unjustified, and despite our success, there is a very human side to S. Cooper & Sons Ltd. Indeed, it’s probably why we are so good at what we do! We have always employed apprentices in our workshops and when it comes to employing drivers, we are always prepared to give inexperience an opportunity – how else do people become ‘experienced’? Many of our Articulated Vehicle drivers started their career with us on a rigid vehicle and we have trained them as they have grown with us. Responsible and passionate about haulage and our staff, that’s us.